At the end of 2017, a broad-based global economic recovery is underway, unemployment rates are falling, inflation remains muted, and equity markets continue to rise. It is for good reason that it is called a ‘Goldilocks’ global economic recovery. But as in the fairy tale, when Goldilocks is around, we should remember that three grumpy bears may well be also – even if they are currently out for a walk. 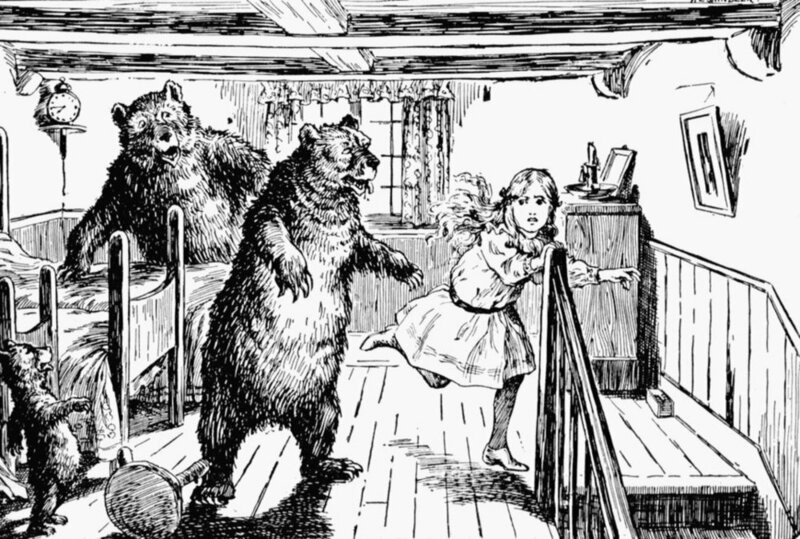 We shouldn’t get too complacent, as Goldilocks did, at the temporary absence of bears: in the current context, the absence of trade wars, populist breakthroughs, or a sharp return of inflation. Indeed, at the same time as the global economy is growing strongly, economic and political tectonic plates continue to move – with the potential to create significant challenges to the benign economic and market conditions. Both realities need to be reckoned with. Small economies are my preferred barometer of the state of the global economy because of their acute exposure to global conditions. They are a good place to look to understand the strength of the current global economic recovery, and also to look for signs of change ahead. As a group, small advanced economies have had a storming 2017 (for many starting in Q4 2016) and have front-run the global economy. For the first time since 2011, GDP growth rates for the small economy group have come in at over 3% for the year to Q3 2017. This is broad-based. From Singapore and Hong Kong (5.2% and 3.6% respectively) to the Nordics, the Netherlands and Austria, growth rates have strengthened consistently. Export performance is strong, unemployment rates are falling, and industrial production is up. This reflects the return of world trade growth, running at about 5% in the year to September, which has picked up over the past 18 months after a weak post-crisis period. A central part of the small economy story though 2017 has been their exposure to the sustained recovery in the global economy. China and other Asian economies are generating robust growth; Europe (ex the UK) is picking up speed; and the US and Japan are strengthening. Indeed, of the 45 economies that the OECD monitor, all 45 registered positive GDP growth in the year to Q2 2017. So as 2017 draws to a close, the global economic recovery looks in good shape. Small economies, which are tightly linked to this global context, suggest ongoing economic momentum. The measures I use to compile my small advanced economies lead indicator are all showing positive. The pace of acceleration has stabilised, but small economies have held at around 3% growth rates. But there are several emerging economic and political dynamics that may take the shine off this economic performance in 2018, and that will complicate the strategic environment. Some of these challenges are already clearly evident to small economies. Consider just two risks. The first is the unwinding of monetary accommodation. The low interest rate regime and greatly expanded central bank balance sheets have supported substantial appreciation across a wide range of asset classes. But now a gradual process of normalisation is underway, starting in the US. Small economies outside the Eurozone have been deeply impacted by QE: exchange rate appreciation, low inflation, and surging asset prices. Similarly, the removal of QE will have an impact on small economies. And already there is some evidence of weakening house price growth across the small economy group and a measure of softness in equity markets, with the potential for impact on the real economy. This gives a flavour of what is to come across the global economy as the normalisation process continues. Second, there has been an ongoing weakening in the rules-based global system through 2017. So far international trade and geopolitical issues have not had a systemic impact on GDP growth rates or market performance. For example, Brexit has imposed costs on the UK and close partners such as Ireland but not on the EU more broadly. And indeed, there have been several positive developments in 2017 such as progress on the TPP (without the US) and the FTA between the EU and Japan. But my sense is that we are not far away from the point at which some of these pressures begin to have material economic and market consequences. For example, the reciprocal imposition of material trade and investment sanctions between the US and China (note this week’s US National Security Strategy) or a breakdown at the WTO (note the challenges at the recent meetings in Argentina). Domestic political pressures in large countries will likely continue to grow. The unwinding of the rules-based order – and a willingness of larger countries to act unilaterally to advance their interests – raises the potential for mercantilism and protectionism. Small economies, because of their large external share and their positions well down the power hierarchy, are exposed to these developments – and are already responding to these changes. The global economy and markets proceeded without much impact from changes in the political environment in 2017. However, care should be exercised in extrapolating this experience forward. There is real potential for jump shifts in 2018 as pressure builds on international fault lines. Fairy tales often have happy endings. But not always.